Horror vector footage with a zombie coming out of the grave. Living corpse of a biker, skull in helmet, big crow eating the eyes and motorbike crashed into the tombstone. 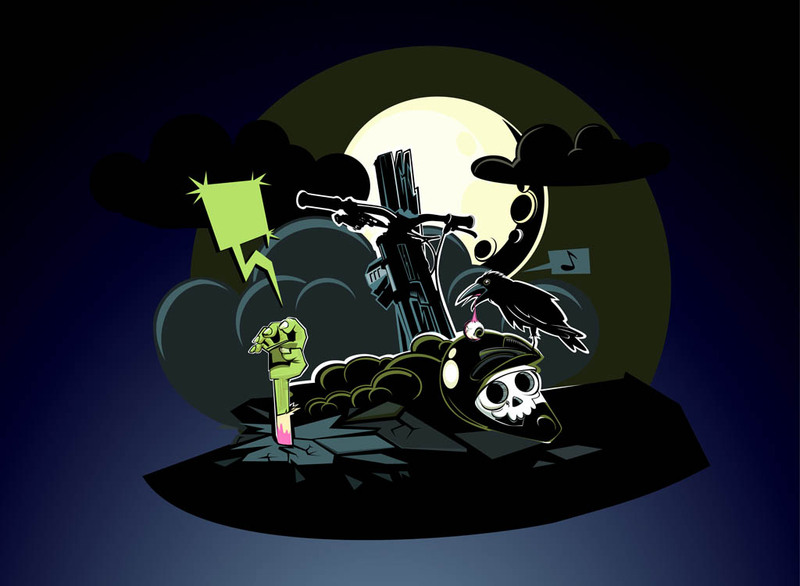 Free vector design to create Halloween, horror, zombie, ghouls, monsters, death and scary stories designs. Comic book zombie biker. Tags: Bike, Crow, Dead, Grave, Halloween, Skull, Tomb.